Martin Covill, Director of Business at TLC Marketing, said, "Dr Shirota, the scientist who created Yakult, believed that true health stemmed from both physical fitness and mental wellbeing. 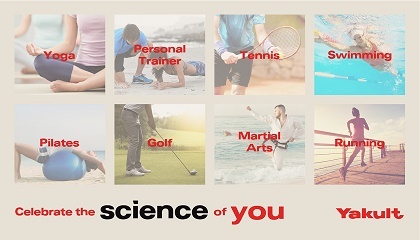 The ‘Science of You’ campaign embodies the history and vision of Yakult, but also pays homage to Dr Shirota - honouring his legacy with body and mind orientated rewards." The campaign is running from 1st May 2018 until 31st July 2018 across 2.5 million packs. Customers who registered within the promotional period can still download vouchers until 30th of September, with vouchers still being accepted at venues until 3rd of December 2018. Promotional packs can be purchased in all major supermarkets and independents across the UK and Republic of Ireland with a reward available with every purchase of the product. TLC Marketing delivered the campaign concept, partners and creative, which includes in-store POS, OOH media as well on-pack stickers. The London based agency also designed and built the campaign microsite, with the ‘Yakult Activities’ portal educating customers through an interactive quiz on what activities can help their body and why. This isn't the first time the leading healthy drink brand has worked with TLC Marketing. In 2015, the agency helped Yakult celebrate its 80th anniversary with an on-pack ‘Culture Pass’ promotion. *Terms and conditions apply. See promotional pack for details. Emma Critchley, PR & Marketing Manager via phone 020 7725 6029 or email: emma.critchley@tlcmarketing.com. Yakult was founded by the Japanese scientist Dr Shirota, who in the 1930s selected and cultivated Lactobacillus casei Shirota, a unique strain of bacteria that is scientifically proven to reach the gut alive. Every bottle of Yakult contains at least 6.5 billion Lactobacillus casei Shirota. Every day, more than 35 million bottles of Yakult are consumed in 38 countries around the world. There are two products available in the UK, Yakult Original and Yakult Light - the less sugar and lower calories version. Both products are gluten-free, fat-free and suitable for vegetarians. For more information, please visit www.yakult.co.uk. TLC Marketing Worldwide are global leaders in loyalty, incentive and reward campaigns, allowing brands to outpace their competition for a fraction of the cost of price led alternatives. TLC Marketing UK are the Institute of Promotional Marketing (IPM) Agency of the Year 2017 and won The Queen’s Award for Enterprise in International Trade 2016. 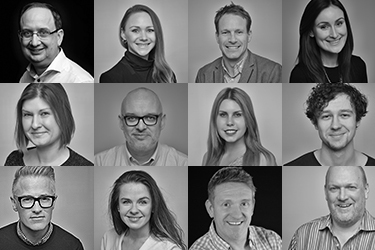 In 2016/17 they won a number of awards for their work with Continental Tyres, Bupa, Pallas Foods and Braun. Other clients include Eon, HSBC, First Direct and Yakult.